This will be a special night of Hip-Hop featuring the multi-talented rapper and beat-boxer, MC Radio Active (of Michael Franti & Spearhead). 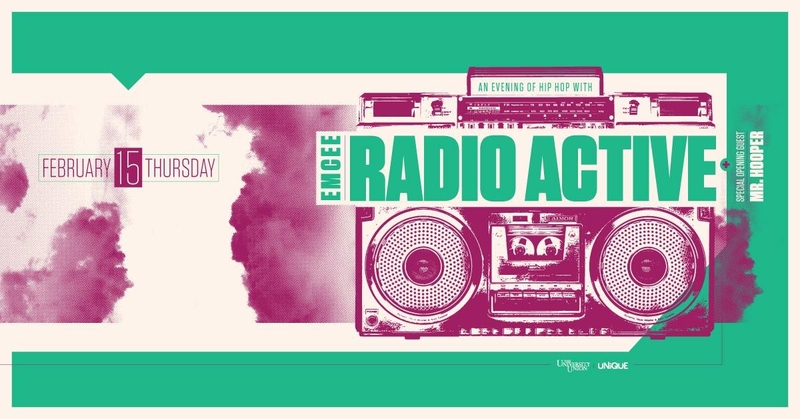 Come out for a free night of Golden Era Hip-Hop Flow from yo emcee Mr. Hooper as he opens for MC Radio Active. Hooper might even feel the urge to get back to his roots and beat-box for ya’ll a little.